After just the first week of access to the Health Current portal, Dr. Fred Karst, Chief Operations Officer at Horizon Health and Wellness, knew that Health Current was going to change the way they operate. In fact, Health Current has already helped them cut hospital admissions in half for their highest users. 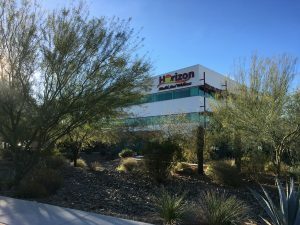 Serving a patient base of 12,000 with over 600 staff members, Horizon Health and Wellness offers mental health, behavioral health, and primary care services in 10 Arizona locations. After participating two years in the health information exchange (HIE), Horizon has been able to incorporate the services that Health Current offers into their everyday work flow. Dr. Karst recalled that he first realized the value of the HIE when an elderly woman came into the facility and needed blood work. As the staff, including the chief nurse, faced a difficult time finding a vein for a blood draw, Dr. Karst remembered his newly granted access to the HIE portal. After a few simple clicks, he realized that the staff could put their needles away because hospital records from the previous day included blood work that was readily available in the HIE. As Dr. Karst recalled, this was just the beginning of Horizon Health and Wellness having success using the HIE. Beyond just using the portal, they now receive Alerts when their high-needs patients are admitted, discharged, or transferred from a hospital. Dr. Karst admits that he “was shocked to learn how many of our patients were spending so much time in hospitals. We knew we had to do something about it,” he said. To address the high hospital utilization, Horizon Health and Wellness identified 30 of their top utilizers – those frequenting the hospital an average of three times or more a month. Using Alerts from the HIE, they developed a successful three-part strategy to decrease visits. First, they designated one person to receive and process all Alerts received from the HIE, forwarding patients’ information to specific care managers who could then follow up with the patient. Second, they developed an education pamphlet to better inform patients about the appropriate care to seek from the hospital ED versus other alternatives for care. 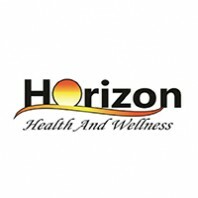 The pamphlet also provides information on the services that Horizon Health and Wellness provides for each of their various locations. Third, they focused on the needs of their seriously mentally ill (SMI) population, providing more weekend hours and encouraging them to come in without an appointment. The results were very positive. Not only did they improve service and outcomes for their high-needs patients, they were able to reduce hospital emergency and inpatient visits. By receiving Alerts from the HIE on hospital admissions and discharges, their strategy that focused on these top utilizers saw a reduction in the average number of visits to the hospital fall from 3.1 to 1.5 visits per month.